You don’t need to be a pro to make professional video. The secret of it lies with Camtasia Studio. Its state of the art tools allow you to record and edit videos within no time at all. Creating informational, educational or promotional videos is no more a hassle with Camtasia Studio. You can record screen activity and produce video for it. Camtasia Studio is easy to use and feature rich screen video capture software. Camtasia Studio is a remarkable blend of all the tools you need for recording and amending the videos. One of the most gripping features is the speed; it’s super-fast. With a user-friendly interface, you can record high quality interactive videos with surprising speed. On-screen activity recording option is also available. Simply hit the ‘record’ button and all of the activity including precise cursor movements are recorded till you click ‘stop’. Its powerful engines have been optimized for HD recordings. To top it off, the exclusive tools allow in-video editing too. It gives you the option to open multiple videos in different windows on a single screen with instant toggling between the windows. Batch editing of the videos is another of the great tools that saves you time and energy by editing multiple videos side by side. A whole collection of effects have been added which can be made a part of the videos. Animations, zoom in/ zoom out, audio and video transitions and a whole load of other features make recording experience all the more fun. Additional support for TechSmith’s Smart Player has been made a part of Camtasia Studio 8. This allows enhanced sharing options on the social media sites like Facebook, YouTube etc. Quizzes and polls can be conducted quite easily now with the newer version. Screen recordings can be shared, quite effortlessly, between Camtasia Studio and Camtasia for Mac. It also provides additional integration for Google drives; recording and uploading videos in a single go is no longer a headache. Powerful screen recording tools have also been made a part of it. Smart Focus tool lets you focus on the foreground or the background without a glitch. Camtasia Studio also provides you with step by step tutorials that are quite handy for the beginners. Free and top notch technical support is another of the incentives that Camtasia Studio provides. 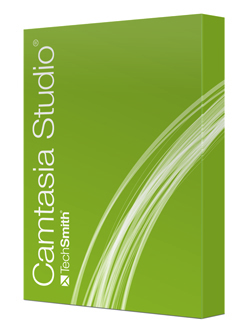 Camtasia Studio 8 can be purchased in $299 with a 30 days trial period. It also provides free 2 GB of storage and 2GB of bandwidth per month. Camtasia Studio is a great improvement in terms of making and editing interactive videos, both for the professionals and the newbies.